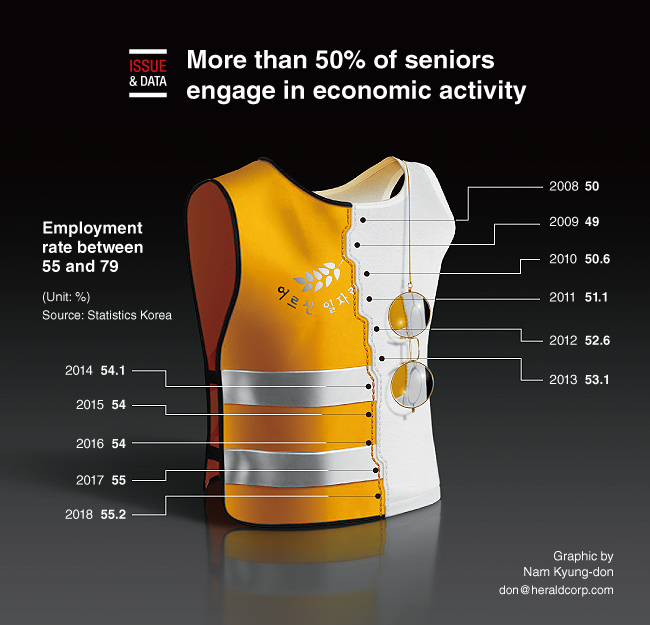 Over 50 percent of South Korea's elderly are engaged in economic activity due to lack of preparation for retirement, and many are doing so for a living, government data showed. According to the data compiled by Statistics Korea, Koreans aged 55 to 79 numbered 13.44 million as of May this year, up 512,000 from a year earlier. The employment rate was 55.2 percent, up 0.2 percentage points over the same period.